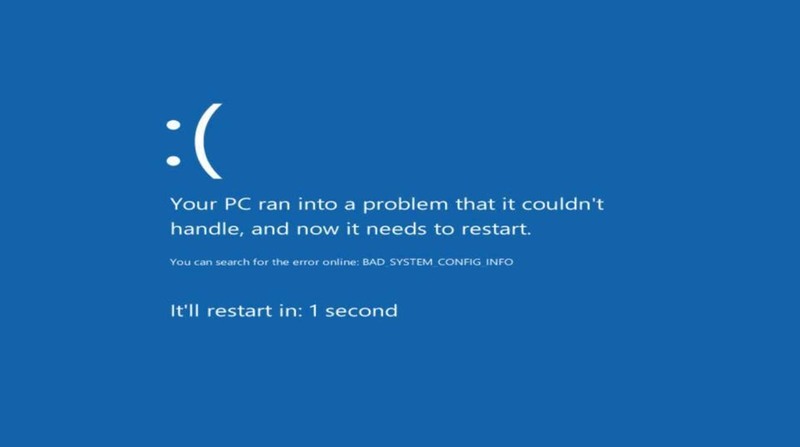 Some Windows 10 users have reported facing bad system config info error message when restarting their computer. Bad_System_Config_Info error is also known as BugCheck 0x74. It can occur with the following error codes STOP 0x00000074 (0x00000003, 0x00000002, 0x80087000). This is not a new issue because previous windows versions Windows 7 or Windows 8/8.1 users also faced this error. 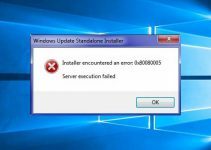 This tutorial will share you a few effective ways to fix Bad System Config Info error in Windows 7/8/10 and help you restart computer without any obstacles. Corrupted or Damaged hard disk drive. Incorrectly configured corrupted device drivers. Driver conflict between the new driver you installed. Step 1. First, you click Start and select Power > Press and hold Shift > Click on Restart. Step 2. Next, you select Troubleshoot > click Advanced Options > Click on Start Up settings. Step 3. Now you click on Restart. Step 4. After restarting Windows, the advanced boot options menu occurs in a black screen. You just choose Last known good configuration (Advanced) and tap Enter. Step 2. When your computer powers up and shows a black scree white text or Windows logo, you hold or press F8 from your keyboard. Step 3. At this step, you’ll see the advanced boot menu in black screen. Choose the option Last known good configuration (Advanced) by arrow keys of your keyboard, then tap Enter. Step 1. 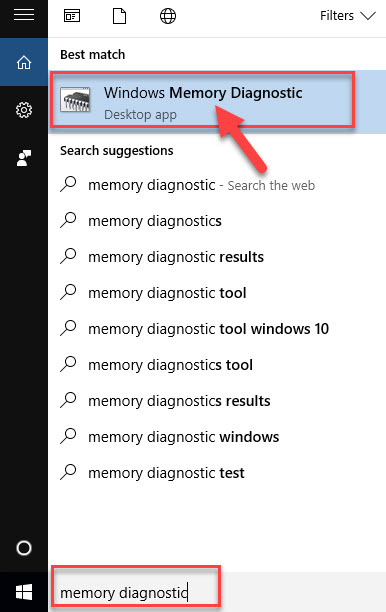 You click Start Menu and type memory diagnostic, then select Windows Memory Diagnostic. Step 2. 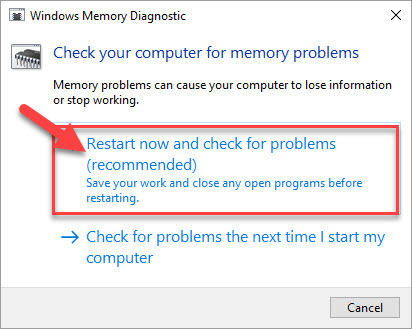 When Windows Memory Diagnostic window open, you click Restart now and check for problems (recommended). Step 3. Your computer will be restarted and check for RAM memory errors automatically. If it detects any errors, you should go to your computer manufacture website to get supports from them and fix the bad system config info error. Step 1. First of all, you run Command Prompt as Administrator. For Windows 8/10: Press Windows Key +X, then select Command (Admin). For Windows 7 or XP/Vista: Right-click on command prompt and select Run as Administrator. Step 2. 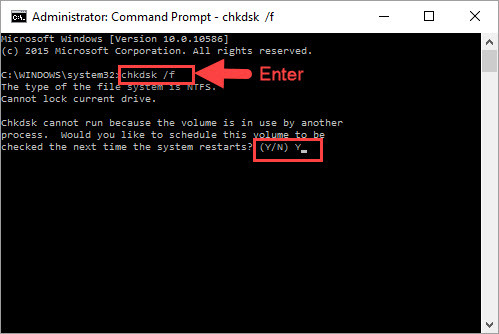 In the Command Prompt window, you type chkdsk /f and tap Enter. Step 3. Finally, you need to restart your computer. Windows will fix problems automatically. Step 1. You open Command Prompt as Administrator. Step 2. 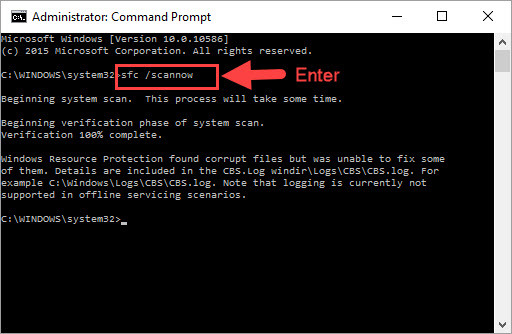 In the Administrator: Command Prompt window, you type sfc /scannow and tap Enter. Step 3. Windows System File Checker will begin scanning for Bad System Config Info error and other system file problems. Now you follow the on-screen commands. Step 1. First of all, you need to boot your computer from a Windows USB/DVD then launch Command Prompt. Step 2. Next, you type CD C:\Windows\System32\config and tap Enter. The virus is one of the reasons cause BAD SYSTEM CONFIG INFO occur. 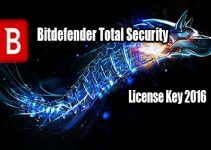 You should use a good antivirus program to scan your computer. Bad system config info can be caused by corrupted registries. In this case, you can use CCleaner to fix registries. Update device drivers: Update all of your drivers on your computer. Your Windows should be up to date. Windows update can fix some critical blue screen errors. 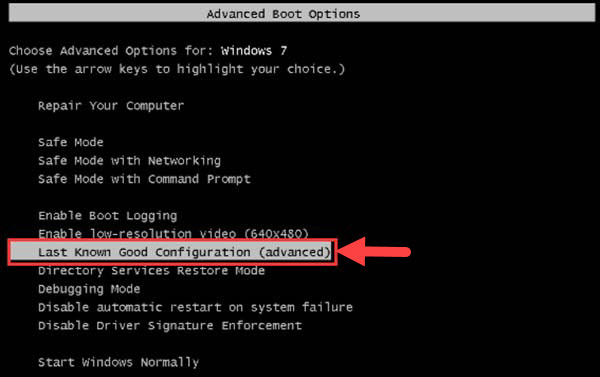 These are all methods that help you fix BSOD Bad system config info error in Windows 7/8/10. If you have any other Windows and Office related issues you can check for the solution in my Windows fix section.